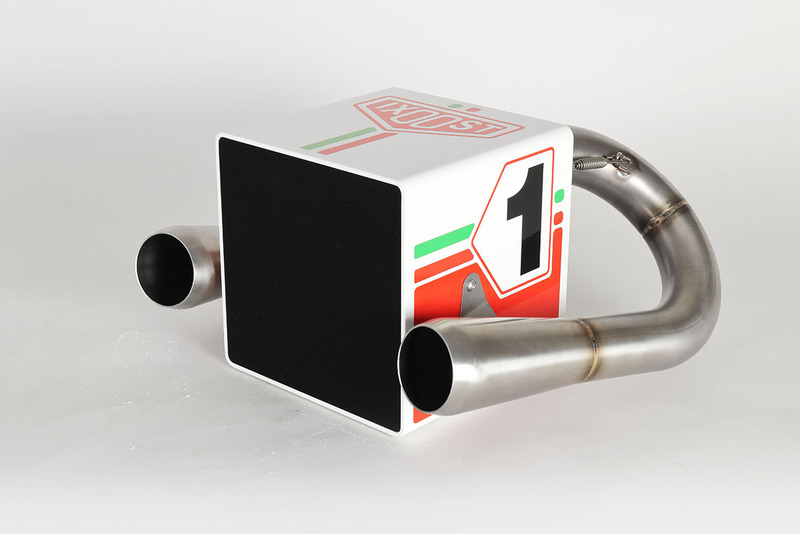 Simple, racing and compact, KUBO combines high quality style and sound with small dimensions. 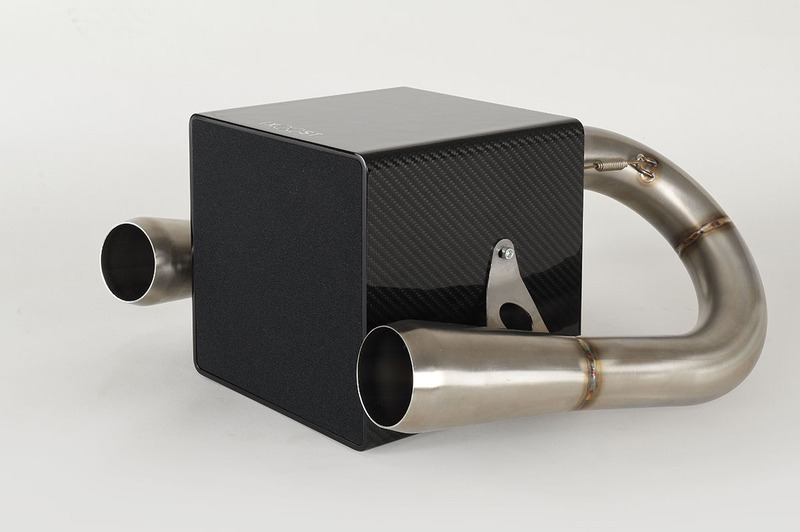 The passion for engines is seen in the choice of a pair of real exhaust pipes and bass reflex function, which tune the lowest frequencies, producing an amazing sound. Minimal, Army or Carbotech are just some of the infinite colour combinations of KUBO. 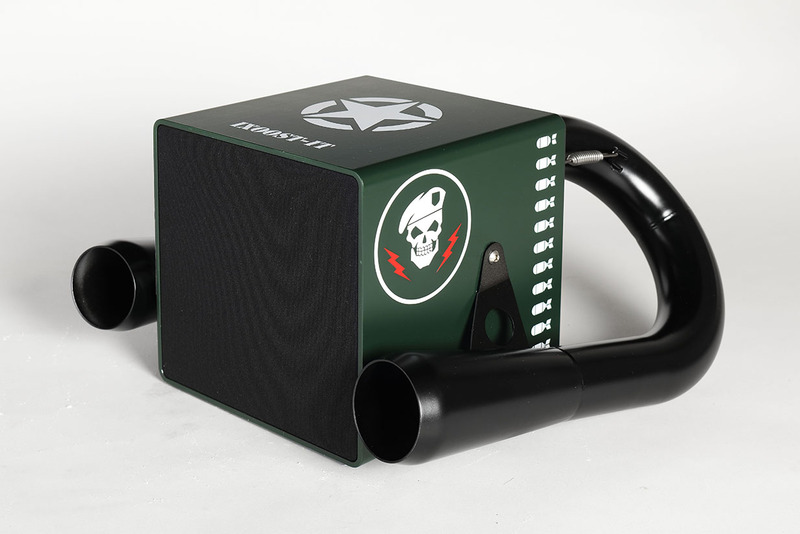 From the bookshelf to the classic garage, this cube is the perfect object to express a passion for engine sounds. It’s an absolute triumph of acoustic engineering. 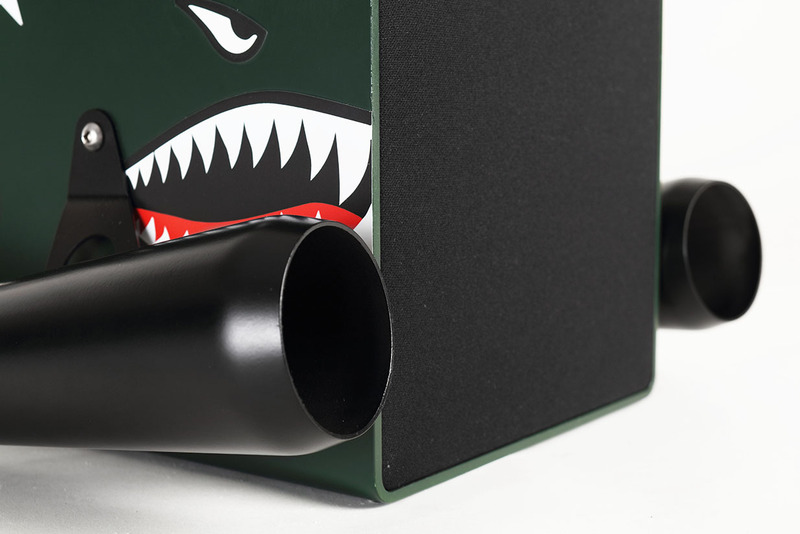 Simple to control and easy to connect, KUBO produces 100 surprising watts, enhancing your music with a sound that goes well beyond its dimensions. One of the biggest challenges faced in the design of KUBO was the configuration of the speakers inside this small cabinet. 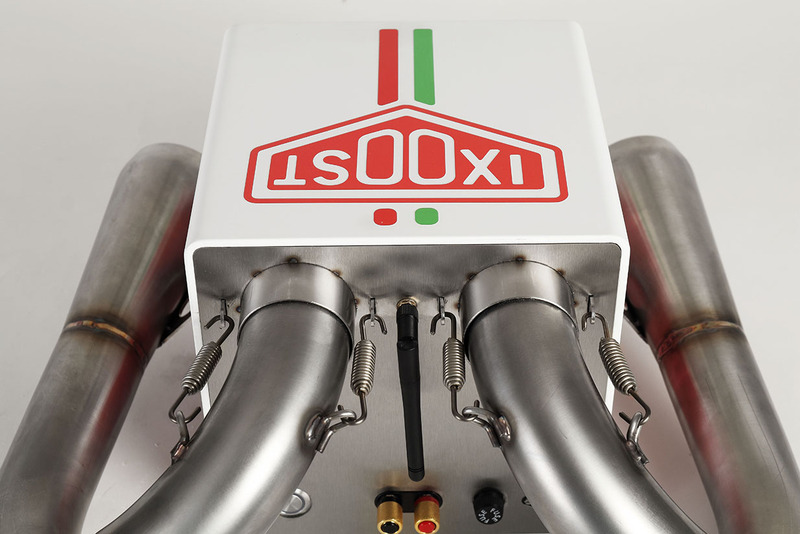 To obtain the typical iXOOST sound we built every single component and adjusted the length of the exhaust manifolds with bass reflex function. 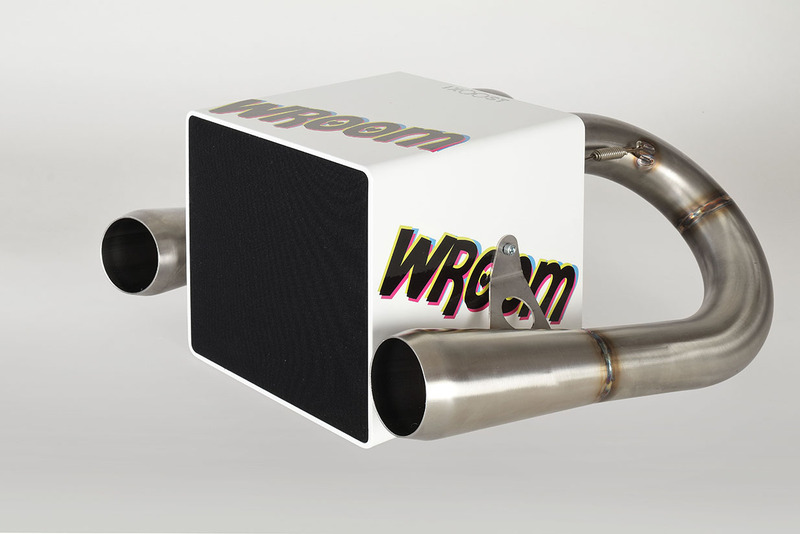 There is a microfiber dome tweeter and and a single speaker for mid-range, all powered by a 1x100W amplifier. 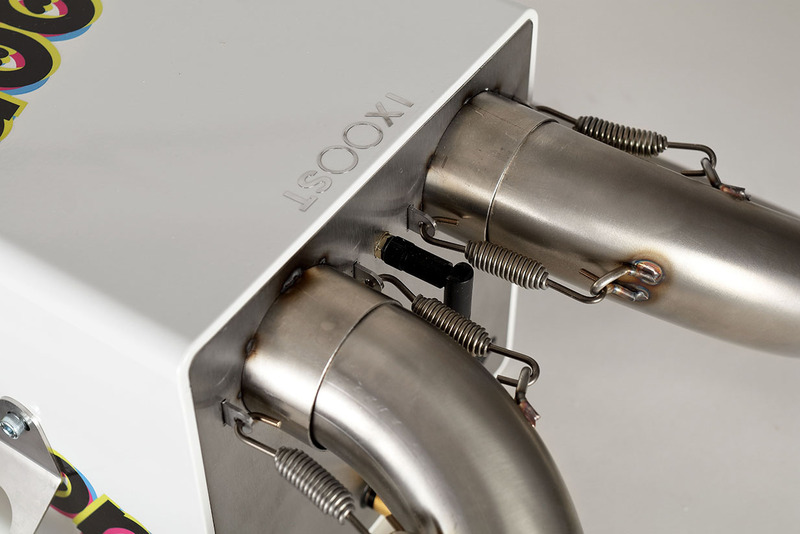 For the bass frequencies we have used two real active exhaust pipes that work together with the woofer in creating incredible basses for a system of this size. 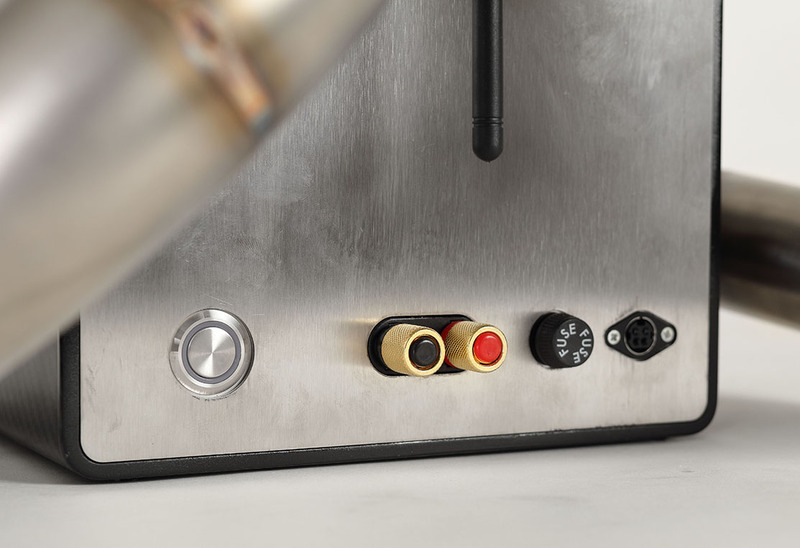 It has advanced but easy-to-use connection possibilities thanks to a latest generation AudioB plus Bluetooth® 4.2 Apt-X™ module, which immediately converts the sounds, reproducing the audio as originally conceived.